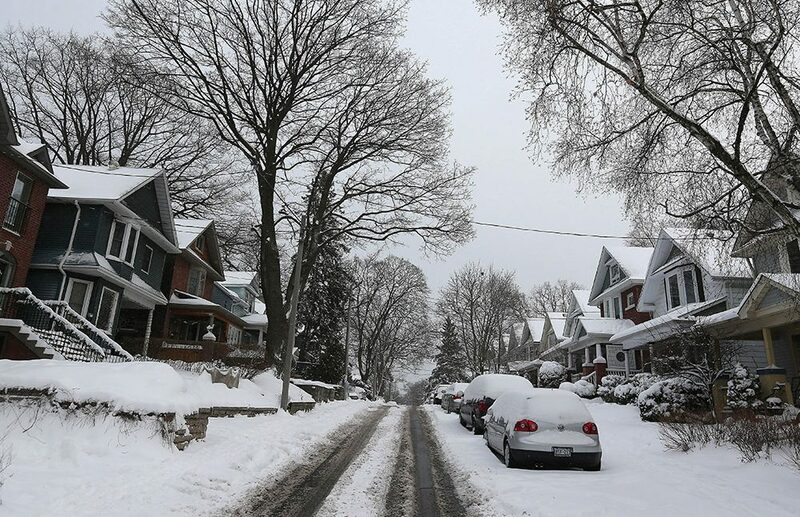 Tips for Moving in the Winter – Bronte Movers & Storage – Local Movers in Burlington, Oakville, Milton, Mississauga. We move people all over Ontario & Long Distance. Household moving, corporate moving, packing services, storage facilities, moving supplies, move management. Home of the piano moving experts. REACH YOUR DESTINATION 100% SURE AND SAFE, On Time, Secure, Reliable, Honest and Efficient. THE COMPLETE SOLUTION FOR ALL YOUR MOVING NEEDS! Moving at any time of year can be stressful, but it can be even tougher when you have to move during the winter months. From snow on the ground to bitter cold temperatures, moving during the winter comes with its own set of challenges. At Bronte Movers we take the stress out of moving. Don’t wait until moving day to start packing. The sooner you start, the easier it will be. Place all the boxes in the hallway close to the door. Everything that you can move close to the door including all furniture; the less the movers have to walk around. Moving in the winter is off-season; most likely there will be a wider range of dates available to choose from. Listen to your movers concerns if the roads are icy, it’s safer to delay the move a little than risk your possessions. The weather can be unpredictable in winter. In addition, if there is a large storm coming through on the day you plan to move, you may wish to contact your movers and reschedule. For the inside of your home, lay down runners and old rugs to protect your floors. Place one doormat in front of and one doormat after the main door to your home, to prevent, as much as possible, mud, water, snow. if you have people going in and out all day, your furnace will be trying to heat the house and it will all go straight out the door. Don’t be stuck having no heat and no light in the dead of winter. Make sure that all of the utilities at your new home are hooked up and working for the day of your move. It is dangerous moving in the winter if walkways are not clear of ice. Be sure to salt, shovel, or snow blow any major walkways you think the movers will be using so they can walk safely with your belongings. Shovel away any snow, making sure to create a wide path to allow for moving large furniture from your house. Using a de-icier on your steps and sidewalks is a good solution. Keep hot chocolate, hot coffee, hot apple cider, chicken soup heated in the kitchen for you and the movers. You’ll feel better, and your movers will think you’re awesome. During a break and to warm the crew up something hot no doubt will greatly be appreciated. Breakable items, like dish ware and glass, are particularly susceptible to temperature changes and can crack or break quickly. You can use towels and blankets to slow down the temperature change. Double pack your fragile items so they are less likely to break while moving. Electronic devices really do not like cold weather. Wait to load electronics until you’re about to leave to keep them as safe as possible. Any items that can be damaged by cold should not be packed in the truck. Make sure these items travel in your car, where the heat will be on. Make sure you dress in layers, and have extra coats, snow boots, hats, gloves, scarves, and a handful of cozy quilts into the car. Create an emergency kit of items that you will need in case of an issue. We recommend carrying kitty litter, a shovel, a first aid kit, food and road flares for your kit. If you’re moving a long distance, have your car serviced prior to the move to confirm that everything is running properly. Pack warm blankets, coats, hats and gloves in the car. Load up anything else you’ll need for driving in cold weather, like tire chains and ice scrapers, be prepared for anything that might happen while on the road. It’s always better to be over-prepared that way you’re ready for anything. As you did with your previous home, make sure that driveways, sidewalks, and stairs are clear and ice-free. Lay down cardboard, runners, old rugs for your floors before you start moving things into your new home. If you have to unload in the dark, make sure you check exterior lighting in advance to make sure they’re all working. Ensure sidewalks and stairs are all lit well. Keep a mop handy, extra towels or rags on hand to clean up the moisture that may build up on your feet and the floors.